Composition as per AWS A5.9 ER309L. High Chromium and Nickel content. TIG : PE Tube 05 Kgs and Gunny bag 10 Kgs. MIG : Plastic spool of 12.5 Kgs. For more information please see the technical data sheet attached below. Composition as per AISI 304L. Composition as per AWS A5.9 316L. Composition as per AWS A5.9 ER310. 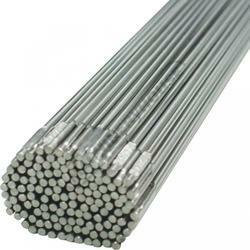 NICKEL AND NICKEL ALLOY - TIG Wire (Bare electrodes/rods) as per AWS A5.14 specification. Other special purpose SS welding wires as per AWS A5.9 specification. Composition as per AWS A5.9 ER308L. 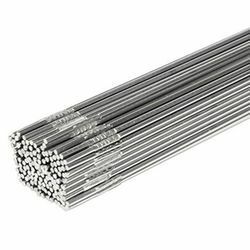 Looking for Suntech Welding Wire - SS ?